Our Concert Assistant Mobile Phone page is a new tool to help you enjoy the performance before, during and after the concert. Along with the Concert Program, there are director comments, anthem text and composer bio information. Follow the concert with your mobile phone. Photo credit: New Directions Publishing Corp.
Dylan Marlais Thomas was born on October 27, 1914, in Swansea, South Wales. His father was an English Literature professor at the local grammar school and would often recite Shakespeare to Thomas before he could read. He loved the sounds of nursery rhymes, foreshadowing his love for the rhythmic ballads of Gerard Manley Hopkins, W. B. Yeats, and Edgar Allan Poe. Although both of his parents spoke fluent Welsh, Thomas and his older sister never learned the language, and Thomas wrote exclusively in English. Thomas was a neurotic, sickly child who shied away from school and preferred reading on his own. He read all of D. H. Lawrence‘s poetry, impressed by vivid descriptions of the natural world. Fascinated by language, he excelled in English and reading but neglected other subjects. He dropped out of school at sixteen to become a junior reporter for the South Wales Daily Post. By December of 1932, he left his job at the Post and decided to concentrate on his poetry full-time. It was during this time, in his late teens, that Thomas wrote more than half of his collected poems. In 1934, when Thomas was twenty, he moved to London, won the Poet’s Corner book prize, and published his first book, 18 Poems (The Fortune press), to great acclaim. The book drew from a collection of poetry notebooks that Thomas had written years earlier, as would many of his most popular books. During this period of success, Thomas also began a habit of alcohol abuse. Unlike his contemporaries, T. S. Eliot and W. H. Auden, Thomas was not concerned with exhibiting themes of social and intellectual issues, and his writing, with its intense lyricism and highly charged emotion, has more in common with the Romantic tradition. Two years after the publication of 18 Poems, Thomas met the dancer Caitlin Macnamara at a pub in London. At the time, she was the mistress of painter Augustus John. Macnamara and Thomas engaged in an affair and married in 1937. Despite the passionate love letters Thomas would write to her, the marriage was turbulent, with rumors of both having multiple affairs. In 1940, Thomas and his wife moved to London. He had served as an anti-aircraft gunner but was rejected for more active combat due to illness. To avoid the air raids, the couple left London in 1944. They eventually settled at Laugharne, in the Boat House where Thomas would write many of his later poems. Thomas recorded radio shows and worked as a scriptwriter for the BBC. Between 1945 and 1949, he wrote, narrated, or assisted with over a hundred radio broadcasts. In one show, “Quite Early One Morning," he experimented with the characters and ideas that would later appear in his poetic radio play Under Milk Wood (1953). In 1947 Thomas was awarded a Traveling Scholarship from the Society of Authors. He took his family to Italy, and while in Florence, he wrote In Country Sleep, And Other Poems (Dent, 1952), which includes his most famous poem, “Do not go gentle into that good night.” When they returned to Oxfordshire, Thomas began work on three film scripts for Gainsborough Films. The company soon went bankrupt, and Thomas’s scripts, “Me and My Bike," “Rebecca’s Daughters," and “The Beach at Falesa," were made into films. They were later collected in Dylan Thomas: The Filmscripts (JM Dent & Sons, 1995). In January 1950, at the age of thirty-five, Thomas visited America for the first time. His reading tours of the United States, which did much to popularize the poetry reading as a new medium for the art, are famous and notorious. Thomas was the archetypal Romantic poet of the popular American imagination—he was flamboyantly theatrical, a heavy drinker, engaged in roaring disputes in public, and read his work aloud with tremendous depth of feeling and a singing Welsh lilt. Thomas toured America four times, with his last public engagement taking place at the City College of New York. A few days later, he collapsed in the Chelsea Hotel after a long drinking bout at the White Horse Tavern. On November 9, 1953, he died at St. Vincent’s Hospital in New York City at the age of thirty-nine. He had become a legendary figure, both for his work and the boisterousness of his life. He was buried in Laugharne, and almost thirty years later, a plaque to Dylan was unveiled in Poet’s Corner, Westminster Abbey. Kristina Mascher-Turner: Are you a morning or an evening composer? Where's your favorite place to write music? Paul Basler: I am a morning composer. My favorite place to compose is in my music studio at home on my Yamaha studio upright piano and also between horn lessons at the University of Florida in my studio. KMT: Would you say that you belong to a certain "school" of composition? KMT: I've enjoyed performing your "Ken Bits" around the world over the past several years. Your beautiful "Missa Kenya" also draws its inspiration from Kenyan folk music. Can you tell us about your time as a Fulbright lecturer in Kenya and how it affected you personally and musically? PB: My year in Kenya (1993-94) and subsequent visits were so special. My music became cleaner and more accessible. I did not need to be so “intellectual.” And I came to realize that relationships are more important than success. KMT: Which do you enjoy more, playing the horn or writing music? PB: This is a difficult question to answer! I enjoy both equally! KMT: Which piece by another composer do you wish you had written? PB: James Naigus’ Soundings for horn and synthesizer – this is one of the most wonderful new pieces. KMT: What advice would you give young composers writing for the horn today? PB: Believe in rests! Really. So many pieces for horn do not have enough rests. KMT: Your latest premiere at the Northwest Horn Symposium, "Passages" for flute, horn, and piano, came about with the assistance of the Meir Rimon Commissioning Assistance Fund. Do you write all your works nowadays on commission? If not, is there a difference in your process and feeling towards a work when you aren't on a commission? How do you get yourself in the right frame of mind? PB: I usually write works on commission. But every now and then, I compose a piece for a dear friend. There is a difference in the process – with friends the piece usually takes on a more personal feel. KMT: Which other composers and creative artists provide you with inspiration? KMT: Many of your works have religious themes. What role does spirituality play in your creative process? PB: I am a deeply spiritual person. Truly believe that creating music makes for a better world. KMT: Do you write by hand or straight into the computer? PB: I always compose with sketches on paper first. Then start to place it all into Finale (computer). KMT: What is something most people don't know about you that you'd like them to know? PB: I enjoy gardening, hiking, reading and traveling. Although most people think that I am a very outgoing person, truth be told I am an introvert. KMT: What projects are you working on right now? PB: I have two commissions that I am currently working on – a new piece for the University of Georgia Symphonic Band and a choral work for the Valdosta State University Concert Choir. American composer Randall Thompson, best known for his choral Alleluia, was born Ira Randall Thompson in New York City. Thompson's father was an English teacher, and he was reared in an environment that emphasized excellence in matters of academics. One refuge from this routine was the family's summer vacation home in Vienna, ME, where Thompson took interest in an old parlor reed organ. At this instrument Thompson wrote his earliest musical works around 1915. In 1916, Thompson entered Harvard University where he applied for membership in the Glee Club, but was rejected. Thompson would spend much of his future career composing choral music, which he once stated was "an attempt to strike back" at the forces that turned him away. At Harvard, Thompson studied with Edward Burlingame Hill, among others. In 1922 Thompson won a scholarship to the American Academy at Rome, where his studied with Gian Francesco Malipiero, who helped deepen Thompson's interest in the polyphonic choral music of the Renaissance. Back in America by the end of the 1920s, Thompson utilized a Guggenheim Foundation grant to examine the state of college level music education in America. The results were published in book form as College Music, a text that helped reset the collegiate agenda in music education nationwide. In 1936 Thompson's cantata The Peaceable Kingdom, inspired by the work of American primitive painter Edward Hicks, was premiered in Cambridge and helped establish Thompson's popularity as a composer. No work of Thompson's, however, earned in equal measure the incredible celebrity accorded to his Alleluia (1940). It was written in four days at the request of maestro Sergey Koussevitzky for a work to celebrate the opening of the new Berkshire Music Center at Tanglewood. It was an immediate success and has been performed countless times by choruses large and small, professional and amateur. Among Thompson's other well-known choral works are his The Testament of Freedom (1943) based on texts of Thomas Jefferson and Frostiana (1959) on the texts of poet Robert Frost. Thompson was also a significant American symphonist, producing three symphonies that are of high quality. Thompson's Symphony No. 2 (1931) had a strong advocate in a student from the Curtis Institute, Leonard Bernstein, who made his first appearance as conductor when he led the Berkshire Music Center Orchestra through this work on July 12, 1939; Bernstein later recorded it with the New York Philharmonic in 1968. Thompson also produced a small amount of chamber and piano music and one short opera, Solomon and Balkis (1942). Thompson's career as an educator was substantive, as in addition to acting as head of Curtis he held professorships at Wellesley, University of California in Berkeley, University of Virginia in Charlottesville, Princeton, and finally Harvard itself, from whence he retired from teaching in 1965. He continued to compose until long afterward, and was still writing music up to within a few months of his death at the age of 85. Randall Thompson is often confused with his Harvard colleague and friend Virgil Thomson, who spelled his name without the "p."
I first encountered Dylan Thomas's work in 1959, my last undergraduate year at Columbia College. It was a revelation. Both the sound and structures of Thomas's words were astonishingly musical. Not by accident, either: "What the words meant was of secondary importance; what matters was the sound of them...these words were as the notes of bells, the sounds of musical instruments," he wrote in his Poetic Manifesto of 1951. I was irresistibly drawn to translate his music into mine. One poem captivated me: Fern Hill, about the poet's "young and easy" summers at his family's farm of the same name. I wanted to write this work as a gift for my high-school music teacher, Mrs. Bella Tillis, who first encouraged my musical ambitions. She introduced Fern Hill with piano accompanying her (and, once, my) school choir. 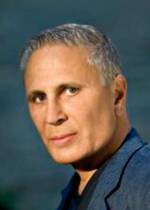 John Corigliano continues to add to one of the richest, most unusual, and most widely celebrated bodies of work any composer has created over the last forty years. Corigliano's scores, now numbering over one hundred, have won him the Pulitzer Prize, the Grawemeyer Award, five Grammy Awards, an Academy Award, and have been performed and recorded by many of the most prominent orchestras, soloists, and chamber musicians in the world. Here’s a recently-composed choral piece by Norwegian composer Kim André Arnesen. This is a work about hope in the darkest time of life. The text was found on a wall at a concentration camp after World War 2 and was written by a prisoner. Even if your freedom and the people you love is taken away from you, no one can take your faith or hope away from you. Featured in My Song in the Night (2009), Amazing grace! is a majestic arrangement of the well-known melody. Beginning with male voices in unison, Wilberg gradually introduces more vocal parts, building ultimately to a grand climax in eight parts. A subtle Scottish influence is evident through the use of drones and a Scotch snap motif in the organ. Orchestral material is available on hire/rental. Mack Wilberg was appointed Music Director of the Mormon Tabernacle Choir in 2008, having served as Associate Music Director since 1999. He is a former professor of music at Brigham Young University, where he received his bachelor's degree; his master's and doctoral degrees are from the University of Southern California. Alongside Wilberg's conducting responsibilities he is active as a pianist, choral clinician, composer, arranger, and guest conductor throughout the United States and abroad. In addition to the many compositions he has written for the Mormon Tabernacle Choir, his works have been performed by artists such as Renée Fleming, Frederica von Stade, Bryn Terfel, Rolando Villazón, Deborah Voigt, and The King's Singers. Wilberg's arrangements and compositions are performed and recorded all over the world. Praise Him with the stringed instruments (2x)... Yeah! Let evrything that hath breath (3x)... Praise Ye! Praise Him with the resounding cymbals (2x)... Yeah! What began as a Gregorian chant that some music scholars believe originated before the formation of the Catholic Mass, "Ubi Caritas" ("Where Charity Is") has evolved into many iterations and compositions. The actual origin of the chant is unknown and ambiguous, although musicologists and researchers believe it was written between 300 and 1100 CE. Today "Ubi Caritas" is performed in a variety of settings and traditions, including its typical use as an antiphone during the Catholic Church's washing of feet ceremony. That ceremony is performed on Maundy Thursday (Holy Thursday), which is the Thursday before Easter Sunday commemorating the Last Supper where Jesus's washed his disciples' feet. "Ubi Caritas" is also sometimes performed during Eucharistic Adoration and Benediction of the Blessed Sacrament. Love of Christ has gathered us into one. And from a sincere heart let us love one. Lest we be divided in mind, let us beware. Let evil impulses stop, let controversy cease. And in the midst of us be Christ our God. Congregavit not in unum Christi amor. Let you be my servant too. Ye lights of evening, find a voice. All: O praise Him, O praise Him! Praise God and on Him cast your care. 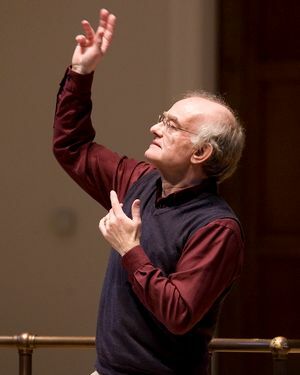 John Rutter was born in London and studied music at Clare College, Cambridge. He first came to notice as a composer during his student years; much of his early work consisted of church music and other choral pieces including Christmas carols. From 1975–79 he was Director of Music at his alma mater, Clare College, and directed the college chapel choir in various recordings and broadcasts. Since 1979 he has divided his time between composition and conducting. Today his compositions, including such concert-length works as Requiem, Magnificat, Mass of the Children, The Gift of Life, and Visions are performed around the world. His music has featured in a number of British royal occasions, including the two most recent royal weddings. He edits the Oxford Choral Classics series, and, with Sir David Willcocks, co-edited four volumes of Carols for Choirs. In 1983 he formed his own choir The Cambridge Singers, with whom he has made numerous recordings, and he appears regularly in several countries as guest conductor and choral ambassador. He holds a Lambeth Doctorate in Music, and in 2007 was awarded a CBE for services to music. What sweeter music can we bring Than a carol, for to sing The birth of this our heavenly King?Awake the voice! Awake the string! Dark and dull night, fly hence away, And give the honor to this day, That sees December turned to May. That sees December turned to May. 'Tis He is born, whose quickening birth Gives life and luster, public mirth, To heaven, and the under-earth. We see him come, and know him ours, Who, with his sunshine and his showers, Turns all the patient ground to flowers. Turns all the patient ground to flowers. The darling of the world is come, And fit it is, we find a room To welcome him. To welcome him. The nobler part Of all the house here, is the heart. Which we will give him; and bequeath This holly, and this ivy wreath, To do him honour, who's our King, And Lord of all this revelling. What sweeter music can we bring, Than a carol for to sing The birth of this our heavenly King? The American choral conductor and composer, Brian Lewis, was in third grade that his love of music was sparked when he learned to play recorder. He started saxophone in 4th grade, and he continued playing through high school. It was not until 11th grade that he discovered choral music. He obtained his Bachelor of Music Composition degree from Baldwin-Wallace College in Berea, Ohio; his Master of Music in Choral Conducting as well as his teaching certification from Western Michigan University in Kalamazoo, Michigan (1995). After teaching in the Michigan public school system for two years, Brian Lewis moved to California to attend the University of Southern California in Los Angeles Scoring for Motion Pictures and Television program. He obtained there his Advanced Studies Certificate in Film Scoring. Brian Lewis moved to Michigan in the fall of 2005 to begin a two year contract with the University of Michigan as an AssistanT Professor and Associate Musical Director and vocal coach in the department of Musical Theatre. 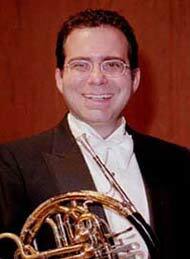 He has been music director for several regional theatre productions. including Man of la Mancha, Into the Woods, Sweet Charity, Godspell. and Pippin. He has composed works for choir, piano, and concert band, all through Alfred Publishing Company in Van Nuys, California. He was recently composer in residence at Portage Northern High School in Portage, Michigan, where the choirs performed the commissioned work, Sanctus. 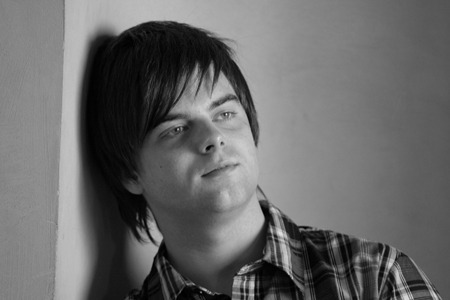 He currently works as a freelance composer. The text to the Carol O Come All Ye Faithful was originally written in Latin (Adeste Fideles) and was intended to be a hymn, it is attributed to John Wade, an Englishman. The music to O Come All Ye Faithful was composed by fellow Englishman John Reading in the early 1700s. The "Huron Carol" (or "Twas in the Moon of Wintertime") is a Canadian Christmas hymn (Canada's oldest Christmas song), written probably in 1642 by Jean de Brébeuf, a Jesuit missionary at Sainte-Marie among the Hurons in Canada. Brébeuf wrote the lyrics in the native language of the Huron/Wendatpeople; the song's original Huron title is "Jesous Ahatonhia" ("Jesus, he is born"). The song's melody is based on a traditional French folk song, "Une Jeune Pucelle" ("A Young Maid"). The well-known English lyrics were written in 1926 by Jesse Edgar Middleton, and the copyright to these lyrics was held by The Frederick Harris Music Co., Limited, but entered the public domain in 2011. The English version of the hymn uses imagery familiar in the early 20th century, in place of the traditional Nativity story. This version is derived from Brébeuf's original song and Huron religious concepts. In the English version, Jesus is born in a "lodge of broken bark" and wrapped in a "robe of rabbit skin". He is surrounded by hunters instead of shepherds, and the Magi are portrayed as "chiefs from afar" who bring him "fox and beaver pelts" instead of the more familiar gold, frankincense, and myrrh. The English translation uses a traditional Algonquian name, Gitchi Manitou, for God, which is not in the original Wyandot version. The original lyrics are now sometimes modified to use imagery accessible to Christians who are not familiar with aboriginal Canadian cultures. The song remains a common Christmas hymn in Canadian churches of many Christian denominations. It is also found in several American hymnals, including The Hymnal 1982 of The Episcopal Church (#114), The United Methodist Hymnal (#244) and Evangelical Lutheran Worship (#284). The 1926 English version by Jesse Edgar Middleton. The words and lyrics of the old Christmas carol 'Joy to the World' were written in 1719 by Isaac Watts (1674-1748). The father of John Watts was a Non-conformist and so extreme were his views that he was imprisoned twice. His father's influence over Isaac was demonstrated when he choose to attend Non­conformist Academy at Stoke Newington in preference to a University. 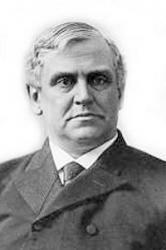 Watts was ordained as a Pastor of an Independent congregation. He wrote many hymns and Carols and was awarded a Doctor of Divinity degree by the the University of Edinburgh in 1728. The music to the carol is by George Frederick Handel (1685-1759). It Came Upon a Midnight Clear was written by Edmund Hamilton Sears in 1849. The carol started life as a poem written by its author who was a minister living in Massachusetts at the time. The music for It Came Upon A Midnight Clear was composed by American musician Richard Storrs Willis in 1859 who was inspired by the words of the poem. “Away in a Manger” is a traditional Christmas carol sung by the English-speaking world dating back to the late 19th century. The carol is commonly known as the first Christmas carol children learn. “Silent Night” is one of the most well-known traditional Christmas carols sung around the world. The song was originally a poem written by Joseph Mohr and composed by Franz Xaver Gruber in early 19th century Austria. Brooks, Phillips, D.D., was born at Boston, Dec. 13, 1835, graduated at Harvard College 1855, and was ordained in 1859. Successively Rector of the Church of the Advent, Philadelphia, and Trinity Church, Boston, he became Bishop of Mass. in 1891, and died at Boston in Jan., 1893. His Carol, "O little town of Bethlehem," was written for his Sunday School in 1868, the author having spent Christmas, 1866, at Bethlehem. My heart is sore for Thee! Praise we the Lord in heav’n on high! The famous American carol We three Kings of Orient are was written in 1857 by Rev. John Henry Hopkins. The minister is reputed to have written the carol We three Kings of Orient are for the General Theological Seminary in New York City as part of their Christmas pageant. The lyrics of We three Kings of Orient are are extremely traditional which makes the latter day fashion of referring to the carol as We 3 Kings of Orient are quite bizarre! "Bring a Torch, Jeanette, Isabella" (French: Un flambeau, Jeannette, Isabelle) is a Christmas carol which originated from the Provence region of France in the 17th century. The song is usually notated in 3/8 time. The carol was first published in France, and was subsequently translated into English in the 18th century. The song was originally not meant to be sung at Christmas; it was considered dance music for French nobility. It seems likely that the melody was written by Charpentier, derived from the air à boire Qu'ils sont doux, bouteille jolie from the now lost Le médecin malgré lui. The song title refers to two female farmhands who have found the baby and his mother in a stable. Excited by this discovery, they run to a nearby village to tell the inhabitants, who rush to see the new arrivals. Visitors to the stable are urged to keep their voices quiet, so the newborn can enjoy his dreams. To this day, on Christmas Eve in the Provence region, children dressed as shepherds and milkmaids carry torches and candles while singing the carol, on their way to Midnight Mass. God Rest Ye Merry Gentlemen was first published in 1833 when it appeared in "Christmas Carols Ancient and Modern," a collection of seasonal carols gathered by William B. Sandys. The lyrics of God Rest Ye Merry Gentlemen are traditional olde English and are reputed to date back to the 15th century although the author is unknown. It is believed that this particular carol was sung to the gentry by town watchmen who earned additional money during the Christmas season. God Rest Ye Merry Gentlemen continues to be enjoyed. The lyrics to this simple carol are reputed to be one of the oldest carols. Oh, they tell me of an unclouded day. Sheds its fragrance through the unclouded day. In the city that is made of gold. In that lovely land of unclouded day. 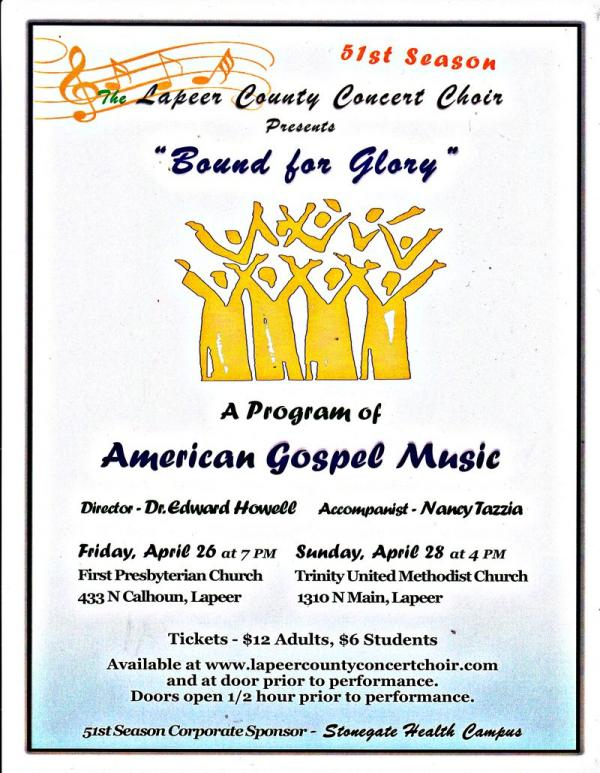 The Lapeer County Concert Choir’s spring concert, Bound for Glory, will present a program of music influenced by two different musical styles, Black gospel and white spiritual. The featured major work for the concert is Robert Ray’s Gospel Mass using the texts from the Ordinary of the Mass – Kyrie, Gloria, Credo, Sanctus, and Agnus Dei – set to music composed in the Black gospel style. The origins of Black gospel music can be traced to the work songs and field hollers of African American slaves. These songs sung to ease the burden of long hours laboring in fields would evolve into the musical style known as the blues. The blues became a musical outlet for expressing the challenges and daily life experiences faced by African Americans after the end of slavery. The raw language and rhythmic nature of the blues found it performances limited to saloons, bars, and brothels. Through the influence of popular music the blues and gospel music would be wed together and find acceptance throughout all avenues of society making in roads into African American churches. Heavenly Home: Three American Songs, based on the music tradition known as white spirituals. The music of the white spirituals has its roots in American folk song, melodies sung during the early frontier revivals of the nineteenth century known as The Second Great Awakening, and the music of Sacred Harp singing. During this time, life on the American frontier was filled with many hardships and difficulties. The message of the revival preachers proclaimed the promise of a heavenly home. An eternal, heavenly home free from the hardships and struggles of life here on this earthly home. The three songs in this set evoke the joyful longing for a place far away from life’s hardships.